We co-sponsored a national multi-racial poll surveying voters in 70 plus battleground congressional districts and six additional states (Arizona, California, Florida, Georgia, Nevada, and Texas). Other co-sponsors are America’s Voice, APIA Health Forum, Demos, Indivisible, Mi Familia Vota, Moveon.org, NAACP, National Congress of American Indians, SEIU, and UnidosUS. 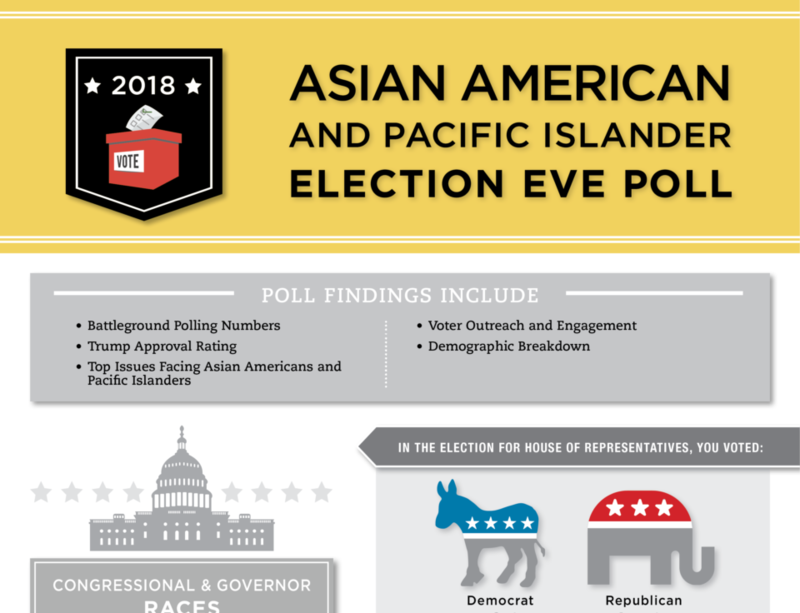 The survey was conducted jointly by Asian American Decisions, Latino Decisions, and the African American Research Collaborative in six languages (Chinese, English, Korean, Spanish, Tagalog, and Vietnamese).